The Raspberry Pi has an on-board audio jack, which is super handy for all kinds of sound effects and speech, just plug and go! However, for when you want better audio for music playback, a USB audio card can greatly improve the sound quality and volume, this tutorial will show you how. 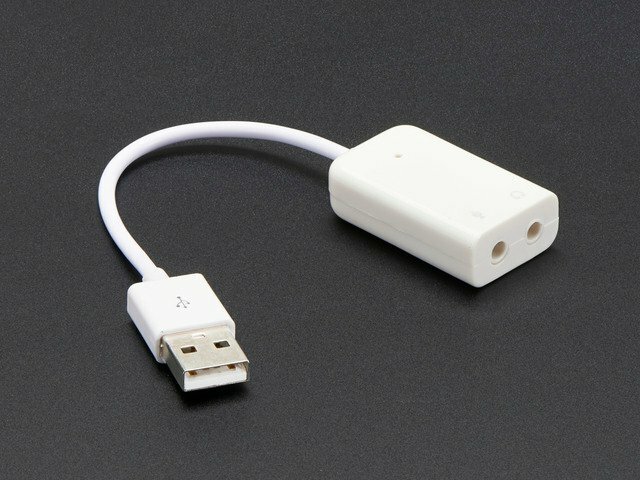 Just a reminder, this tutorial is only known good for the USB audio card in the Adafruit shop. Audio cards all use different chipsets so if you have another card, it may not work here! You'll have to figure out what's different for your model. Start by having your Raspi turned off/shutdown (perform a clean shutdown!) and then plugging in your USB audio card. Then boot the Pi as normal. All we have to do is tell Raspbian to look at "card #1" for the default audio. Card #0 is the built in audio, so this is fairly straightforward. Change both “0” to “1” and then save the file. That’s it! Note we removed the # at the start of the line. 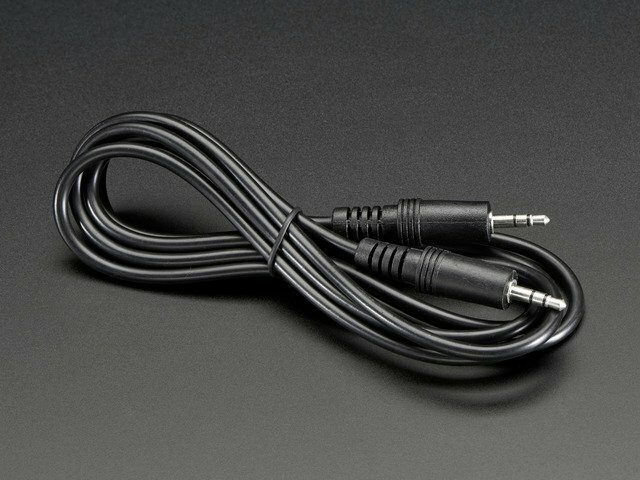 At least with the CM-Headphone type adapter, you can also record audio. If you're using a Raspberry Pi and notice the output isnt totally clean, some USB Audio adapters don't like USB-1.2 and produce crackling in the output. You can work around the problem by adding dwc_otg.speed=1 to /boot/cmdline.txt and setting the USB ports to USB-1.1 mode. This guide was first published on Sep 17, 2013. It was last updated on Sep 17, 2013.